This entry was posted in Details and tagged burnt orange, Celine, terracotta, tie handbag by Carolina Engman. Bookmark the permalink. Gosh this is a really great investment! I love Celine bag for their timeless design, great color range and modern but still traditional sense in fashion. And the color that you chose is absolutely a nice one – the brick red is oh so stylish and goes well with black, white other red and cobalt! The universe gives us everything we don’t need at the time doesn’t it? Ah, the bag is amazing! Love it. Ahh it’s so gorgeous!!! Deffo worth loving off noodles for!! haha a diet of noodles is well worth that gem. Love this bag, great choice ! This is a “forever” bag and I would do the same to have it! LOL! It’s such an amazing bag, congrats on this new beauty !! 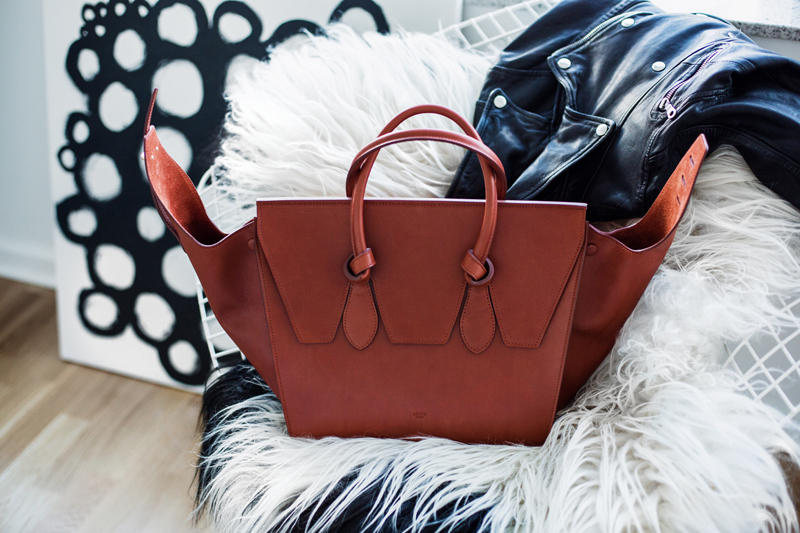 This bag and colour is just perfect!